Click the button below to add the Anti-Aging Day Facial Cream to your wish list. Nourish and hydrate for softer, younger and brighter looking skin. This rich, creamy moisturizer provides antioxidants and vitamins that help replenish nutrients and rejuvenate for younger, healthier looking skin. This Anti-Aging Day Facial Cream instantly leaves skin hydrated, softens the look of fine lines and diminishes wrinkles for firmer looking skin. Sea Buckthorn oil is an ultra-concentrated ingredient with some of the highest levels of beneficial antioxidants available. Rose Geranium is a rich, nutritive source of Vitamin C and Omegas 3 and 6. These ingredients penetrate deeply to prevent free radical damage, allowing your skin to renew from within. A youthful, radiant appearance can be achieved in just weeks. Rich in Vitamins C and E with Omegas 3 and 6. This cream eases fine lines for a more youthful and vibrant appearance to your skin. Aloe Vera Hydrosol soothes and regenerates skin, making it soft and smooth. Sea Buckthorn Oil has healing and rejuvenating effects which prevent skin damage. 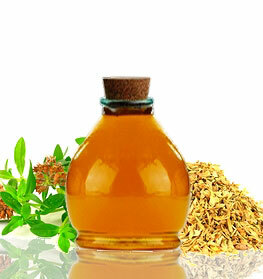 Carrot Seed Oil has antiseptic and antioxidant properties that help retain soft, youthful skin. Rose Geranium Oil is full of vitamins, antioxidants and nutrients that correct dark spots and hydrate dry, itchy skin. 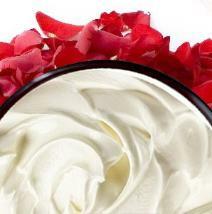 Borage and Camellia Seed oils are vitamin rich, lightweight moisturizers. • This cream can be applied underneath makeup and other creams/sunscreen. • Gently pat this cream into your skin to prevent irritation. • If you are also looking for a soap, we suggest checking out our Gaiana Nutritive Soap. This cream is very cream. I use it as a night lotion as I find it too thick and heavy for day time. It smells wonderful too! Have tried most of the face cream in the market, and this one is the only cream that does not run into my eyes. Wish it came in a bigger jar.. I saw immediate results..My skin looked smoother, younger, softer, and more vibrant in less than a week. Next order please! Love this day cream. It leaves my skin hydrated all day without feeling greasy. 58 year old. Love the texture, a little goes a long way too and it smells so nice. The cream soaks into my skin very quickly and leaves my skin feeling so smooth and soft. So far I just love this product and can't wait to try the night cream. I was a loyal customer to a big name cosmetic line for more than 30 years. I hated to change, but there came a time that my skin just needed more. I bounced around from product to product until I found Just Naturals/Just Nutritive, about a year or so ago. I use the anti-aging day cream and night cream. It is more expensive than anything I've ever used, but it has rehydrated my aging skin. It doesn't clog the pores like some of the others I tried, and one little container lasts a long time, for me. I'll be a loyal convert for years to come. This cream feels pretty nice on the skin without being heavy. I love that my skin look bright and awake when I use the day cream. I would repurchase this product again for sure.